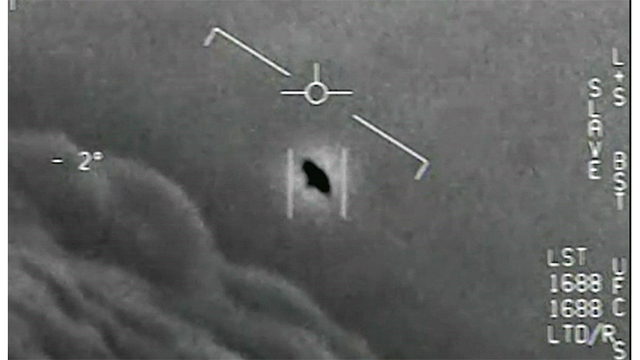 LAS VEGAS - UFO investigators are hoping to obtain a treasure trove of Pentagon documents that were generated by a once-secret military study of flying saucers and other weird aircraft. 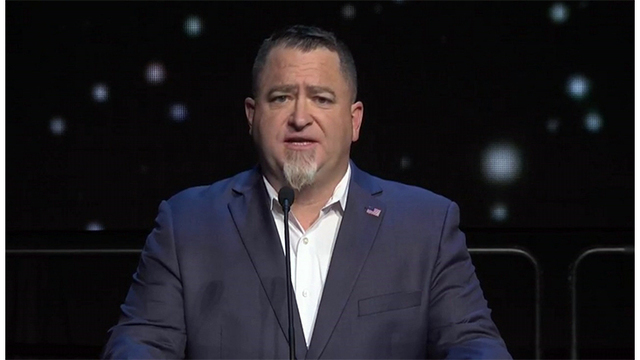 Last October, former intelligence officer Luis Elizondo revealed he'd been in charge of a secret Pentagon project that studied UFOs. The story picked up steam two months later when the New York Times reported the name of the program AATIP or Advanced Aerospace Threat Identification Program. At the same time, two once-classified videos were released. "I received communication from a man who worked for one of the defense agencies, a PHD in physics and math. He said 'I know everything about rockets but I don't know what these things are,'" said Sen. Harry Reid. Senate Majority Leader Harry Reid started a dialogue with a senior scientist working for the Defense Intelligence Agency. Alarmed that no one was paying attention to dramatic intrusions by unknown aircraft, Reid and colleagues secured funding for an ongoing study, but it wasn't called AATIP. 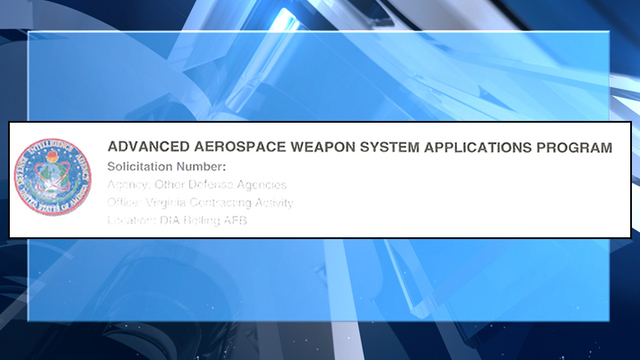 The original acronym was AAWSAP or Advanced Aerospace Weapon System Applications Program. "There was no direct contract vehicle for Senator Reid to take care of a buddy over here in a stake for a contract. That's complete nonsense," Elizondo said. Space entrepreneur Robert Bigelow's interest in exotic subjects was as obvious as his company logo. He'd spent years -- and millions of dollars -- on his own scientific study of UFOs and related topics. For the DIA contract, he created BAASS, a seperate entity housed within his aerospace plant. He hired a team of 46 scientists and investigators, along with dozens of other support personnel. The agreement with DIA did not mention UFOs at all. It used more generic terms such as future threats and breakthrough technologies, and specified 12 focal points including, lift, propulsion, materials, versions of stealth as well as human interface and human effects, meaning Bigelow's team would study people who reported unusual experiences beyond seeing UFOs. The study produced volumes of highly technical scientific reports including projections about warp drives and antigravity propulsion. "These studies are so loaded with information," Sen. Reid said. "One thing we learned is over the decades a lot of things happen there's no explanation for. Well there are now." But at the Pentagon, there was pushback. Some worried the study would become an embarrassment if the word got out. Others opposed it on religious grounds. Bigelow funded it himself for a year but AAWSAP came to an end after 2011. Elizondo, who had interacted with the study from the Pentagon, was assigned to continue the work, but he chose a smaller focus, limited to military encounters with unknown aircraft. his effort, dubbed AATIP, survived by keeping a low profile. Elizondo relied on an informal network of colleagues to investigate cases that came in. "There were other folks related to our effort," Elizondo said. "It is a confederated approach so you had folks in the Navy, in DIA, in pockets here and there. We worked collectively."